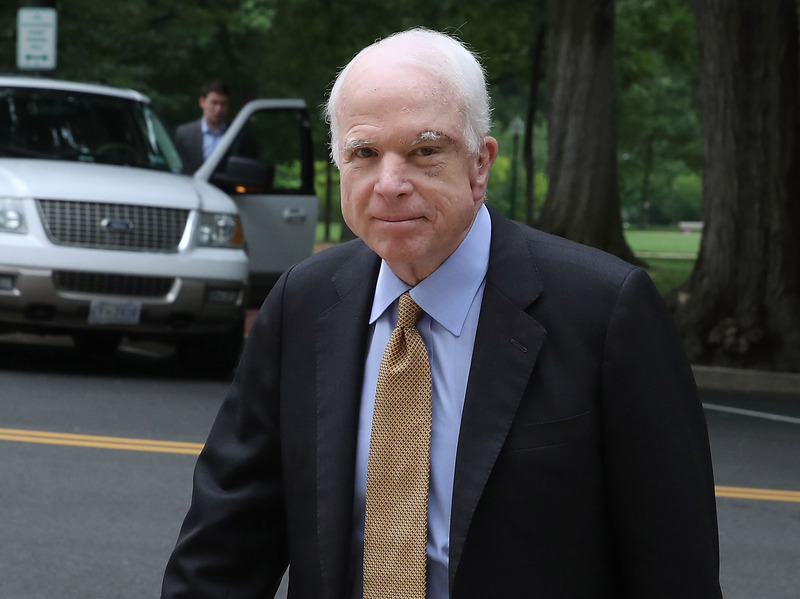 WASHINGTON, D.C.—Republican South Carolina Sen. Lindsey Graham says former Republican Arizona Sen. John McCain had no idea that his own staff distributed the unverified Steele dossier to the media, but he suggested to McCain that he hand it over to the FBI. Graham told reporters this Monday when asked about the time he spent with President Donald Trump in Mar-A-Lago this past weekend and if he discussed with Trump his thoughts on the comments Trump made about the late senator, with whom Graham was close friends. The Caller had asked McCain in front of one of his staffers on Oct. 18, 2017 if he or anybody on his staff had distributed the Steele dossier and McCain angrily denied it. The Daily Caller News Foundation later found that longtime McCain associate and former State Department official David Kramer was the source to the media for the dossier. Nevertheless, Graham still made clear his loyalty not only to McCain, but also to Trump.